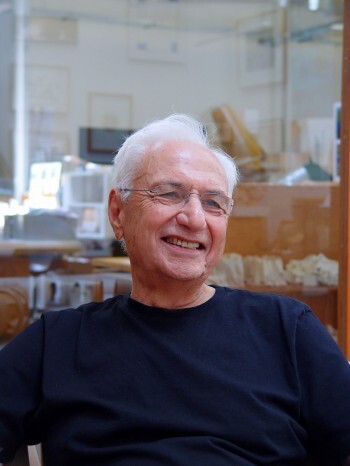 Gehry Technologies, has spent the last several decades developing a digital system for sharing and working on architectural plans and diagrams and other types of building information modeling, and now he’s trying to share it across the industry, with the help of a new collaboration with cloud-based storage service Box. Gehry’s company built its own digital tool, called Digital Project, capable of modeling the intricate shapes the architect is known for. 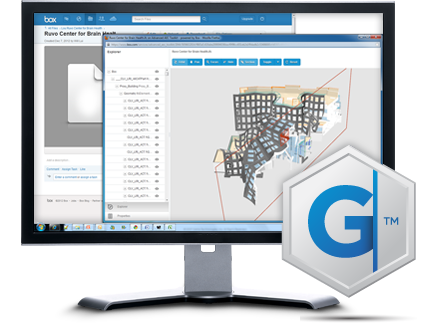 But GTeam, which has been publicly available for less than a year, can also incorporate other files, from Rhino to Autocad, and some other architects — Gehry mentions his friends Zaha Hadid and David Childs — are already using it. Gehry and his team experimented with and refined GTeam during the construction of the New York by Gehry, a super-tall apartment building completed in 2011. They weren’t able to build it completely paperless, but sharing digital plans brought the architects in closer sync with the engineers, avoiding clashing systems — for example, where a structural beam is scheduled for the same location as a plumbing pipe. This way, says Gehry, they were able to cut back drastically on the number of change orders (expensive directives to alter the plans, which Gehry says can amount to 15 percent of the construction cost). Typically, these alterations can gather into the hundreds or thousands of orders. In the case of the digitally designed New York, there were eight. This entry was posted in BIM Collaboration, BIM Software and tagged Box.net, Ghery on April 13, 2013 by rumbelom.